With the carnival winding down for another year it is always a good opportunity to reflect on how I can improve as a punter. Now is the time to look at what I did well and what areas need improving. One area that I believe is critical to being a successful punter is bankroll management and correct staking on a horse or sport event. In my opinion this is even more important than the actual selection. 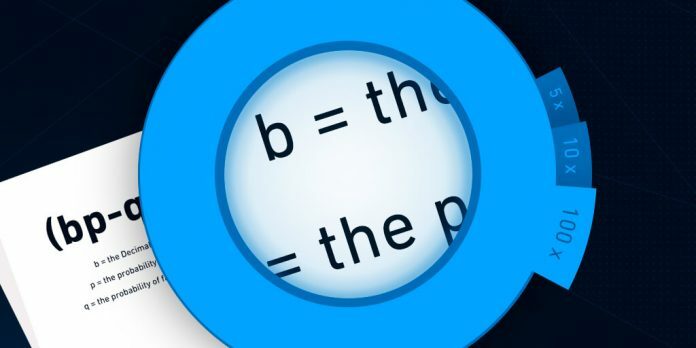 The Kelly Criterion is a formula to determine the optimal size of each bet. In its simplest form we are betting more when we believe we have a bigger edge. So bets with a small perceived edge are not staked as aggressively as those where your edge is greater. It takes into account your current betting bank and gives you a stable and structured approach to your betting. Let’s have a look at the toss of the coin example to show how this can be used. The odds of landing a heads or a tail is paying $2 with our local bookie, however we believe the correct percentage of landing a head is actually 60% ($1.66). Obviously a weighted coin! So we think this looks a good bet, but how do we work out how much to stake? So according to the Kelly formula we should be betting 20% of our bank on heads for this flip of the coin. If our bank is $100 that means a $20 bet on heads. Now let’s say we lost that bet so our bank is now down to $80. The coin is about to be flipped again, this is the beauty of Kelly. The 20% of the new bank results in a $16 bet on heads. Obviously if we had won our original bet of $20 on heads, our bank would now be $120. So coming for the next spin if the scenario was the same our 20% bet would now be $24. As you can see with the above example there is a control and structure to placing the bets and our bets only increase as our bank increases or our edge increases and vice versa. Should we hit a losing streak our bets are scaled back. This saves our bank and keeps us in control. One important thing to note is the aggressiveness of the recommended stakes above using ‘full kelly’. Betting 20% of your bank is a massive outlay on a 60% probability. That is why almost all followers of the Kelly Criterion use a fractional approach. For example 1/5 Kelly, or 1/8 Kelly. In one study of the above example, each punter was given $25 and asked to bet on a coin that would land on heads 60% of the time. They were aiming to win $250 each. After playing, they found 28% of the participants went bust, and the average payout was just $91. Only 21% of the participants reached the $250 goal. 18 of the 61 participants bet everything on one toss, while two-thirds punted on tails at some stage in the experiment, even if they thought the chance of winning was only at 40%. Using the Kelly Criterion and based on the odds in the experiment, the right approach would be to bet 20% of the pot on each throw. If losing, the size of the bet gets cut; if winning, the stake increases. The Kelly Criterion gives you a level of control to both your staking and bank balance when placing each bet. We have a structured approach when things are going well and not so well. In theory it also maximises returns as you are outlaying more on bets with a larger (perceived) edge, and less on marginal plays. It is a methodical approach that takes another human element out of our betting. I would strongly recommend to any serious punter that they seriously consider researching a fractional Kelly approach to suit their punting style and goals. Obviously we still need to find the winner, however as you can see correct staking and money management will give you a much better chance of coming out in front in the long run.